Ferrari’s latest and most powerful beast, the 812 Superfast, which is an evolution of the company’s well famed front-mid-engine F12Berlinetta, has been unveiled officially. It’s a new 6.5-litre V12 engine under the hood producing 789 horsepower at 8500 rpm and letting the car to be the Ferrari’s fastest production ever. Max torque stands at 530 lb-ft (718 Nm) at 7,000rpm, all of its transmitted to the rear wheels through 7-speed dual clutch transmission. Though the engine looks to be very rev happy, 80 percent of that will be produced from just 3,500 rpm, says automaker. Thanks to the added direct injection and variable length intake tracts increasing the volumetric efficiency of the engine. 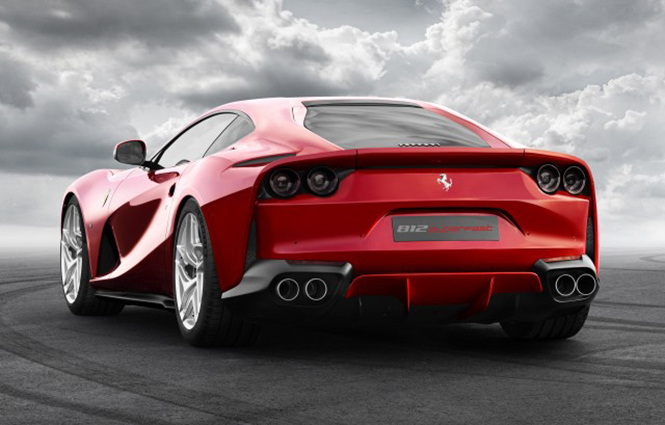 As far as the performance is concerned, the 812 Superfast can do Zero to 100 kmph of sprint in just 2.9 seconds and can go for a top speed of up to 211 mph or 340 kmph. These figures are about equal to the F12 tdf, despite the fact that the 812 Superfast is 110 kg heavier dry weight than that of the said unit and now rated at 1,525 kg. Most of you are probably unacquainted with the fact that it was almost 70 years ago when the first Ferrari V12 engine ventured into the auto world. And, if the reports are to believed, the 812 Superfast would be the company’s last unit powerhouse by this facility. Another significant change to this vehicle compared to the F12 is the addition of electric power steering. 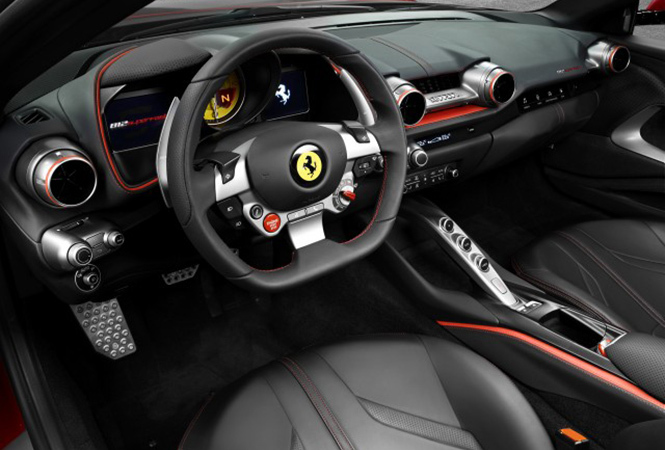 This is the first Ferrari car to boasts of such facility, which has been designed to work with Ferrari’s Slide Slip Control technology. Also, there is an updated four-wheel-steer "Virtual Short Wheelbase" system offered first on the F12 tdf. 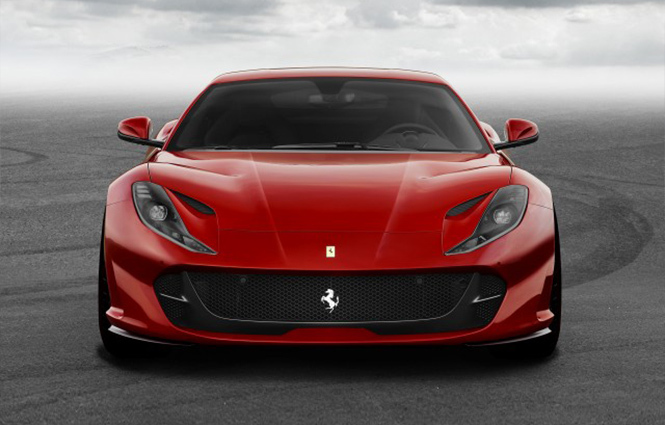 Coming to the car itself, the Ferrari 812 Superfast host more aggressive look against to the F12, with new LED headlights, larger grille and more noticeable aerodynamic elements. Active aero elements like adjustable flaps found up front and rear of the car used to boost downforce or reduce drag. Inside the cabin, you will get to see subtle changes in the form of a new steering wheel, more angular dash with new instrument clusters and driver controls. More details of the same including price too are likely to be unveiled at the 2017 Geneva Motor Show, starting from March 7.